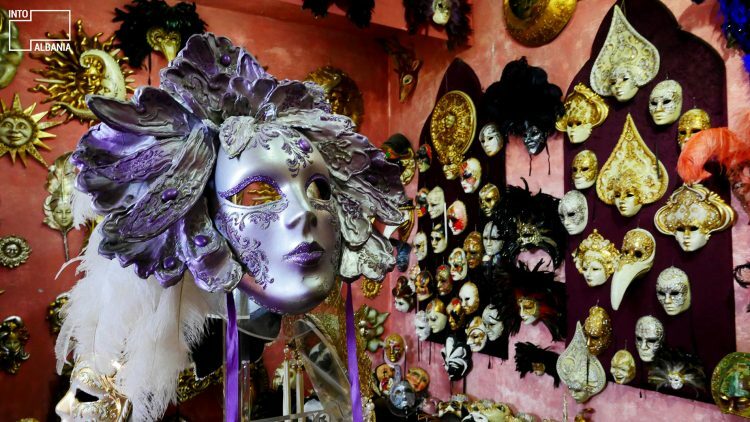 The mask exhibit at the Venice Art Mask Factory contains the most diverse and exquisite collection of Venetian masks. 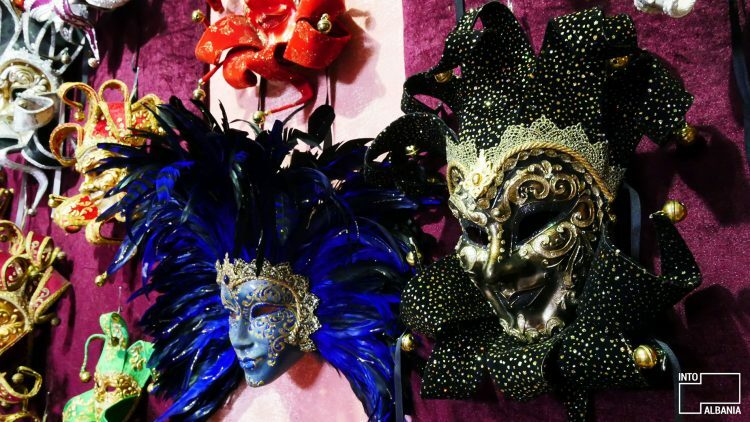 The display of styles and colors is enough to immediately transport you to the atmosphere of the Venice Carnevale! But, here we are in Shkodër, where the passion, creative genius and business acumen of Edmond Angoni has enabled the creation of one of the most important mask factories in the world! 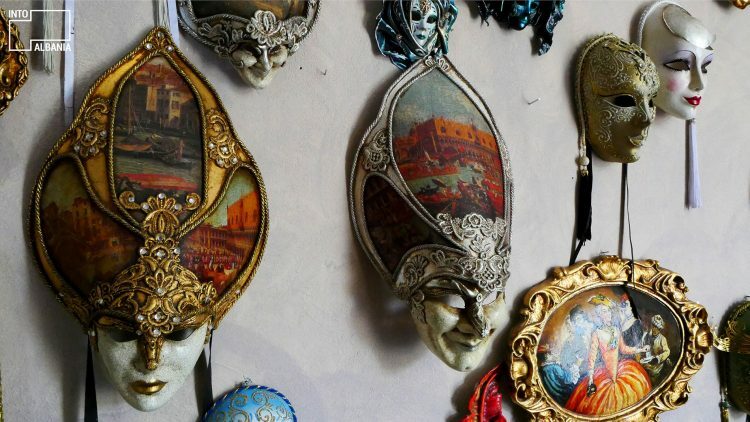 The sheer originality and quality of these works, in addition to the fact that each mask is treated as a unique work of art, has contributed to this factory’s increase in worldwide popularity. The brand includes eight shops in Venice and one in Las Vegas. In addition, the factory supplies luxury shops from Dubai all the way to Australia. Today, Angoni’s factory has become a global empire! Visitors of the shop always ask Angoni how long it takes him to complete a mask and he always gives the same reply: “It takes me 20 years,” states Angoni with a chuckle, confirming his success was built on hard work and a long experience. This experience has led him to reach a high level of perfectionism in his works. In fact, he constantly gauges his market’s preferences and keeps an eye out for up and coming industry trends. It seems that the year 1997 is a distant thing of the past! This was the year that Angoni, upon his return to Albania from years in emigration, began to play around with masks, a passion which arose from his long stay in Venice as well as from his love of art, sculpture and all things beautiful. Among the famous masks of Bauta, Arlecchino, Kolombina and many other characters of the famous theater Comedy of Art (Commedia dell’arte), Angon has a hard time picking his favorite. We ask him about the Plague Doctor, the mask borne out of the doctors’ necessity to wear masks as they treated plague patients. The mask’s most recognizable feature is its long beak, designed to keep the doctor at a safe distance from infected patients. A fascinating element is that aromatic herbs were strategically placed inside the beak to counterbalance unpleasant odors. 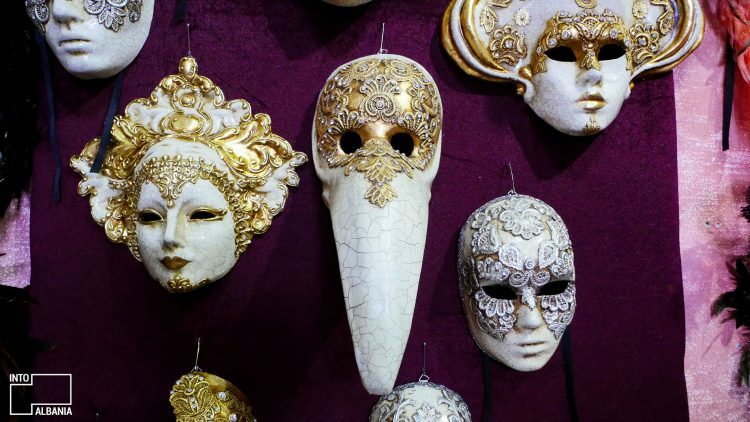 The masks became an important part of the carnival long after the bubonic plague vanished, as a reminder to all participants that death is also a part of festivities. The factory offers more than 1700 distinct models and produces more than thirty thousand masks annually. 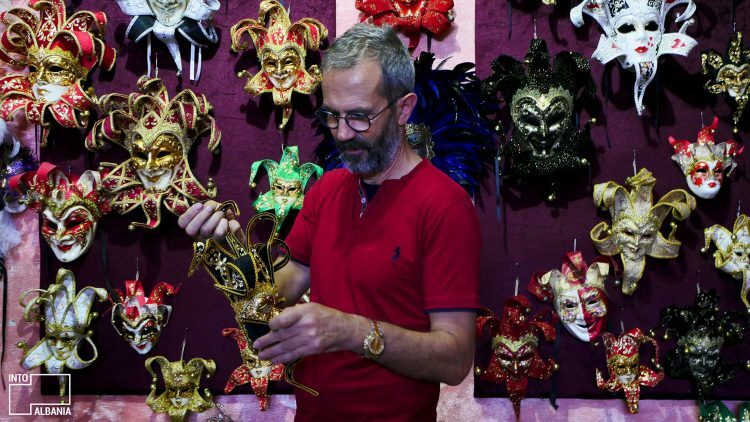 “Venice is the world’s stage,” claims Angoni, “and I would like for each and every one of its characters to find an ideal mask!” The varied price points of all his products reflect this kind of philosophy. These masterpieces are indeed affordable to most people! Similar to the iconic slanted eyes in Modigliani’s portraits, the masks await their perfect match to fill in the empty eye slots and make them come alive. 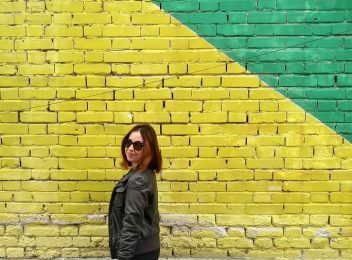 Clearly, the sense of freedom found behind masks is what draws people to them. In fact, the Venice Carnival owes much of its popularity to this precise phenomenon. These festivities historically offered people a chance to embody someone new and enjoy life free of societal constraints. In the process of its making, each mask goes through the hands of 12 or 13 professionals. Initially, the clay is molded and worked with mud. Afterward, it is placed on papier-mâché. Three to four layers of traditional paper are placed on the mask and glued onto the surface. Once their adhesion is dry, the mask’s surface is sprayed white in order to begin the complex and collaborative process of decoration. Specialized professionals handle each distinct element of the mask, beginning from the perfecting of its silhouette, its painting and decorating in hot silicone to the final smoothing of its surface and final embellishing. Finally, masks are slightly “aged” through a process that ensures they look as if they came straight out of one of Casanova’s parties! Grand parties and masks are inextricably linked in the collective imagination! Only a few notes from the Musica Ricercata by Ligeti suffice to immediately recall the iconic scenes of Stanley Kubrick’s last film, Eyes Wide Shut. Angoni recalls the day his very best masks were arranged on the carpet so that the film’s Assistant Director and team could select the most appropriate ones for the film’s protagonists. It is quite uncanny to see many of the models used in the film displayed in the factory. Although originally from Gjirokastër, Angoni also identifies with his adopted city of Shkodër. The revival of the carnival tradition – an event that attracts an increasing number of visitors each year – is his merit! In addition, for several years now, he has been Director of the “Migjeni” Theater and he continues to contribute to the city’s artistic and cultural life in myriad ways. Soon, you will be able to see Angoni’s masks in exciting, brand new premises! 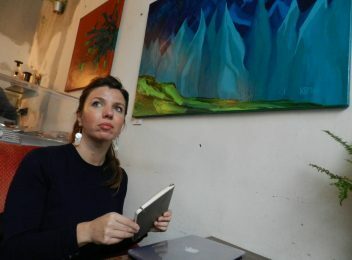 The Venice Art Factory will move to a beautiful art museum, next to the present location, that will serve as both an exhibit space and a venue for courses and other related events. 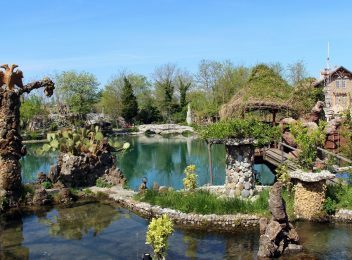 Perhaps, there are no gondolas here, but you will have the culture and history of the Venice carnival at your fingertips, right in the middle of Shkodër.